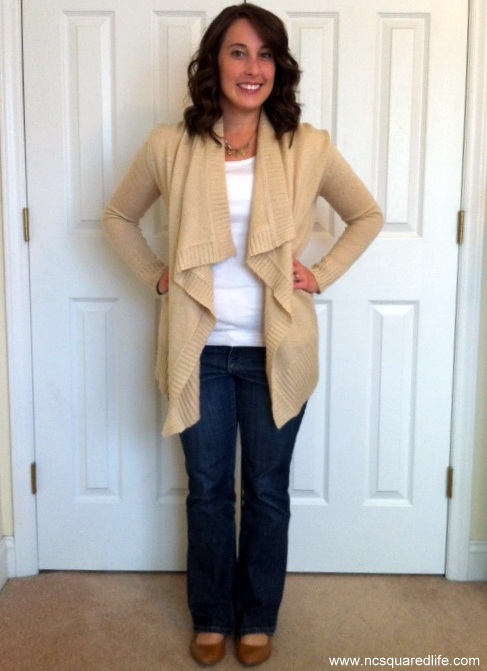 This is the most comfy, cozy sweater I own, and it’s perfect for Fall and Winter. I think it looks nice left completely open like in the first photo but it can feel a little bulky so I tend to belt it at the waist. When it gets really cold outside, I pull out the boots. 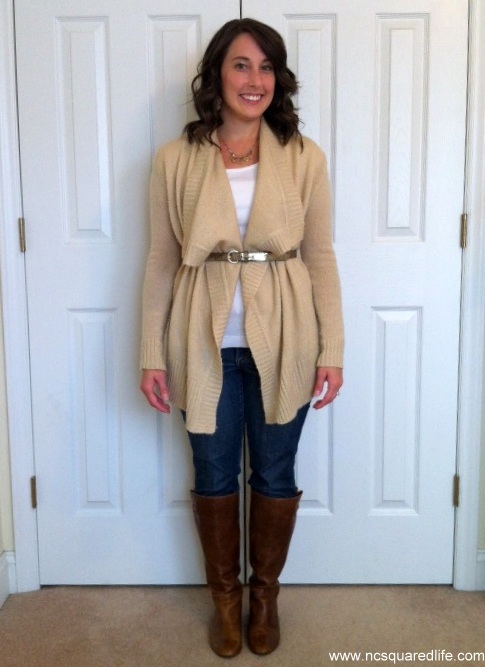 I love the all-neutrals look and I think next time I’ll try pairing it with black denim. 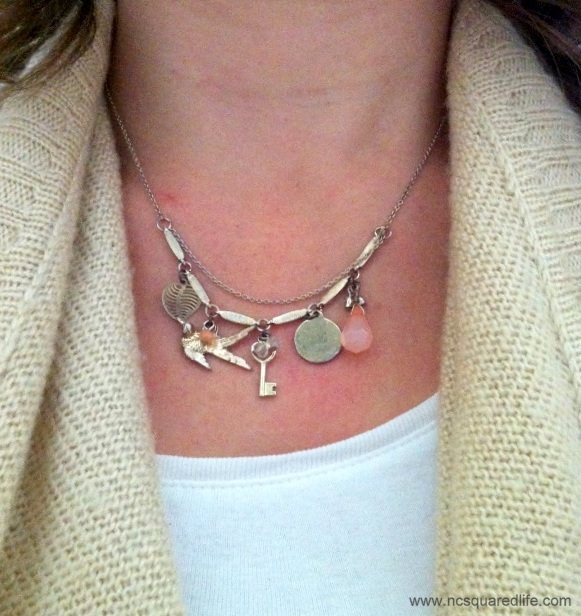 I wear this necklace almost every day. I would like to find a charm-style bracelet that I can wear with it. What is the most cozy thing you own? It’s a rainy day here in my world. I used to hate going out in the rain because I wore jeans and/or sandals and my feet would get so wet, and that’s one of my least favorite things ever. 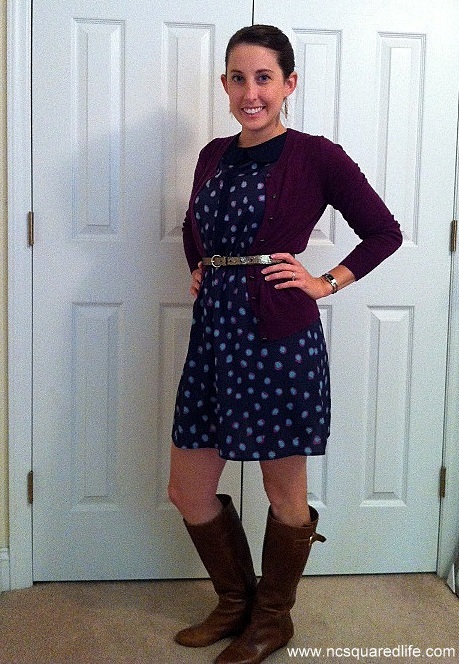 Only recently, after reading on a fashion blog somewhere that the best rainy day outfit was a dress and boots, did I realize that I didn’t have to get my feet and jeans wet when it rains. 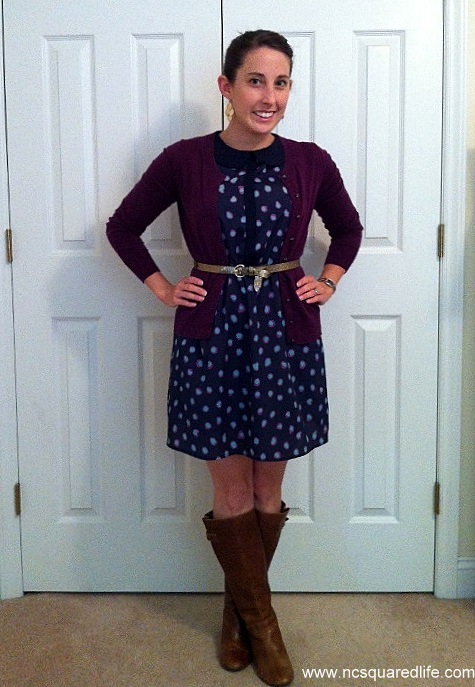 So I started pairing cute dresses with nice boots. Even better than that, last Christmas Nick gave me a pair of rain boots that I wear all the time. Even when it isn’t raining! 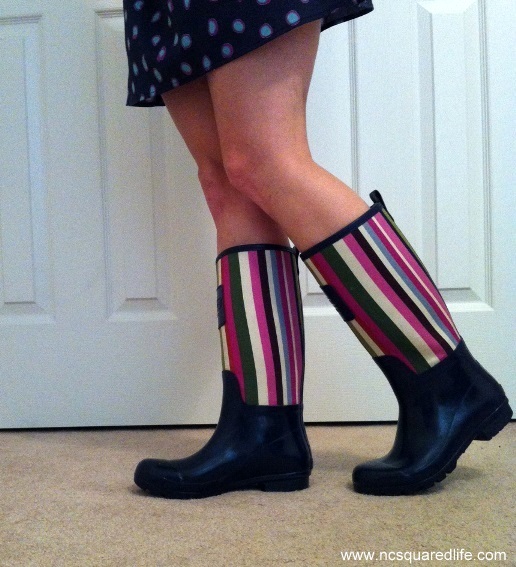 Rain boots are the best invention ever. If you don’t have a pair, I strongly recommend them. They’ll change your life! 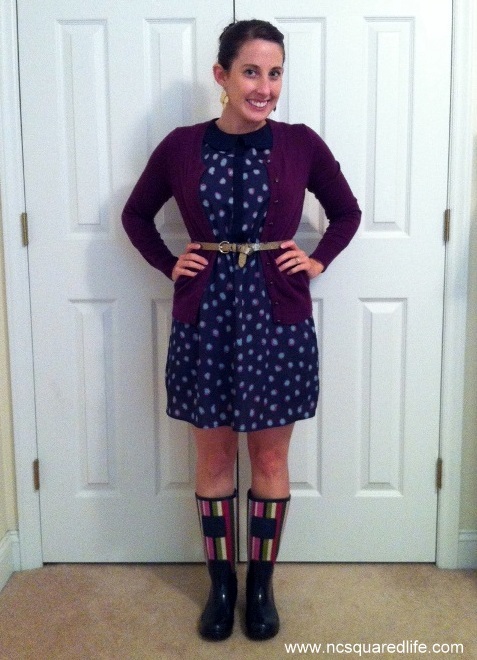 What is your rainy day uniform? 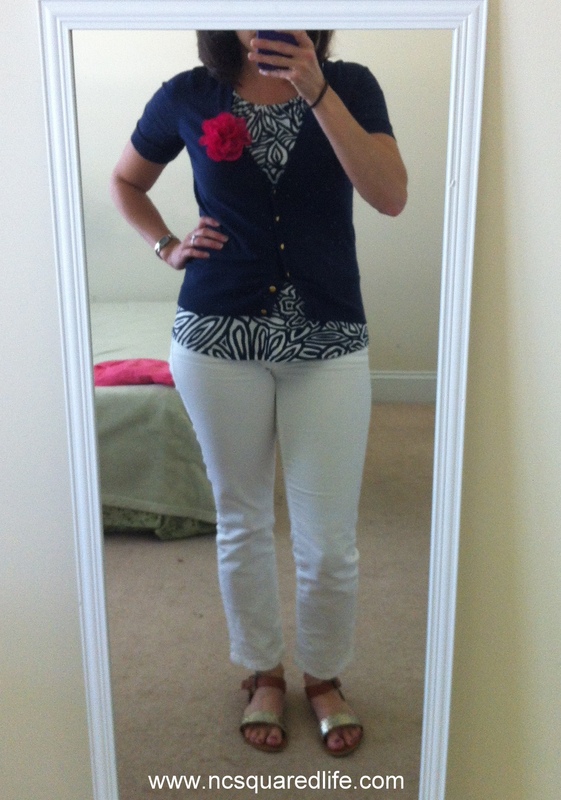 I’m really reluctant to wear white pants for three reasons: 1) I’m afraid I’ll get them dirty and 2) I’m afraid of too much white and 3) I’m also afraid of the sharp contrast of dark and white! I don’t think that too much white is a bad thing. I also don’t think that dark on white is a bad thing. In fact, I think both looks are very elegant and classy. But, for some reason, I feel like I can’t pull them off. Clearly I can, because this outfit looks really good! I just have to learn to step outside of my comfort zone more often. How do you feel about white? I wore this to class and to Lakefest, which is a student appreciation lunch they held for students on west campus, home of the medical school, nursing and other public health students like myself. 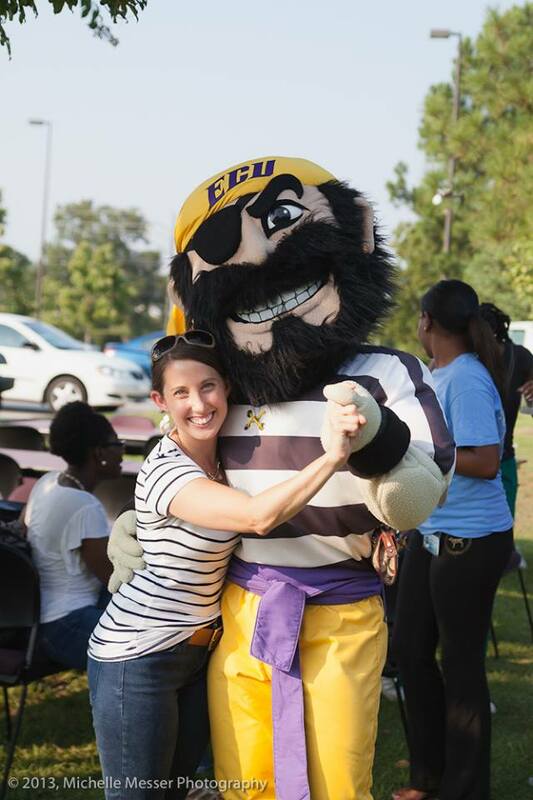 I had my photo taken with Peedee the Pirate, which I’ll admit, I was way too excited about! 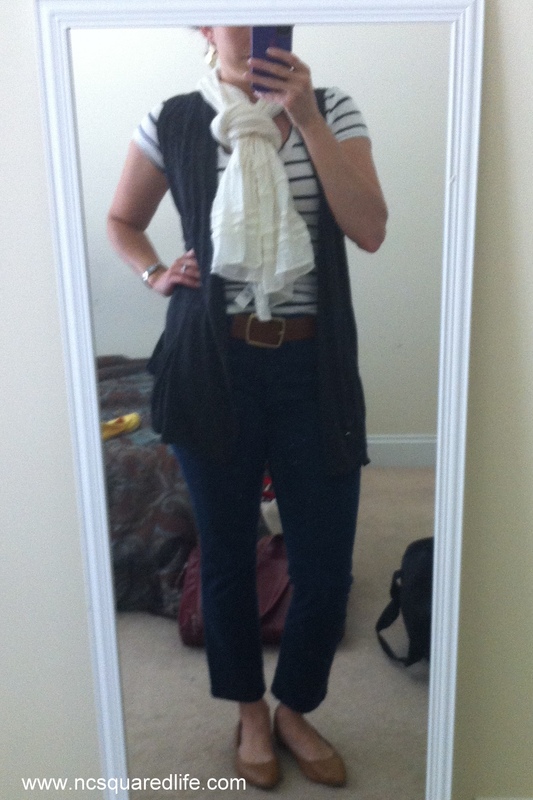 I’ve made this look slightly more “Fall appropriate” by adding a cardigan and scarf. I suppose it’ll keep you a little warmer once the weather starts to cool down, but it’s still too warm for that here. Let’s hear it for Peedee! I promise that these photos will get better, but until I can get my tripod set up, this will have to do. I really love this skirt because it’s super comfortable and can be dressed up or down. 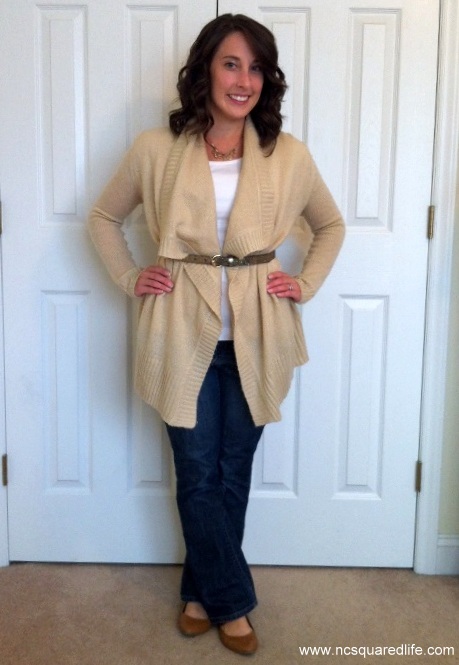 In the first photo, it’s a little more dressed up with a nice cardigan. 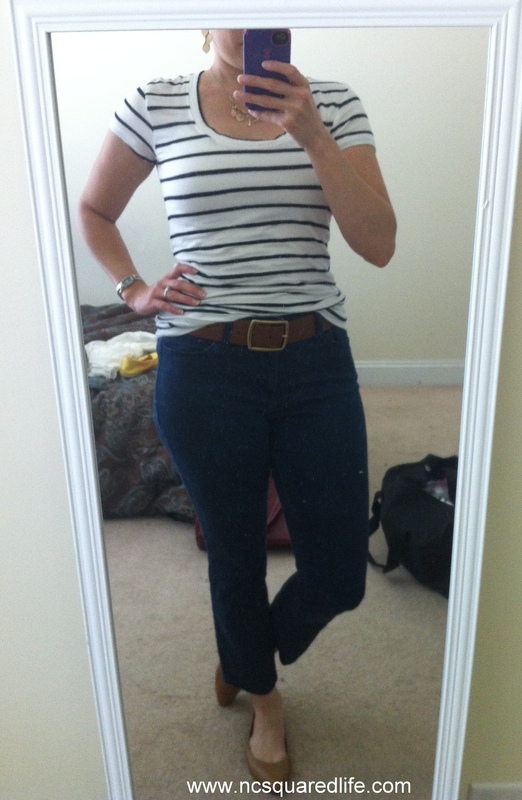 I wore this to class so I slipped on some comfy flats that were more suitable for walking, but if I were wearing this to the office, I’d wear my red peep-toe pumps. 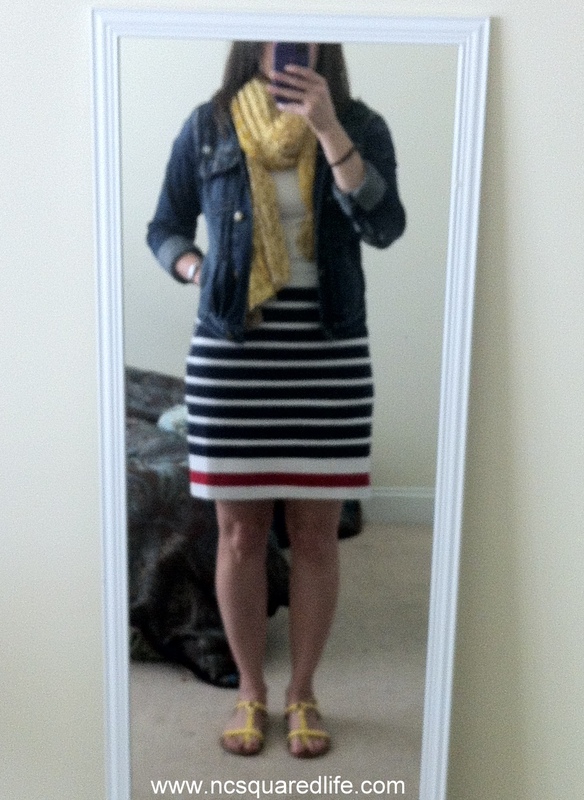 In the second photo, I’ve paired the skirt with a fabulous denim jacket, scarf and flats. This a little more casual, and I probably would have worn it to class except that it’s still way too hot out for that jacket and scarf. Maybe in a few weeks! 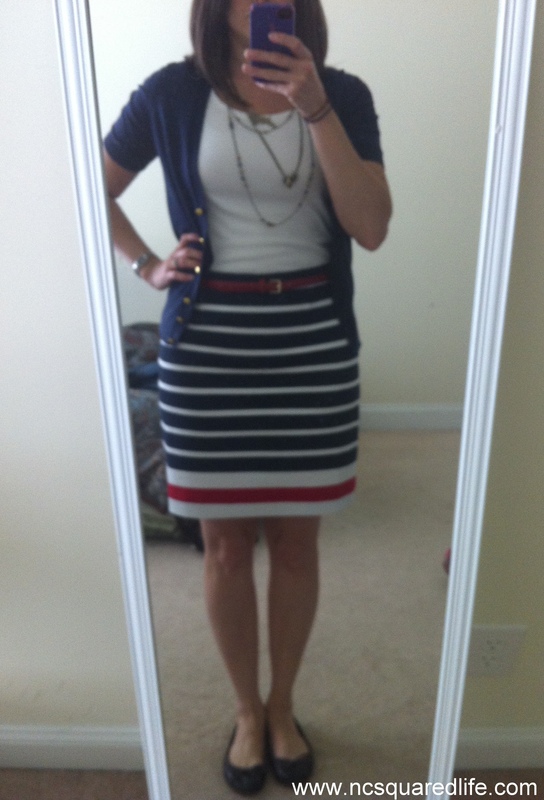 I’m still having a little bit of trouble figuring out how else to style this skirt. That lone red stripe at the bottom throws me off a bit. Which is your favorite look? Do you have any other suggestions for styling this skirt?